From Prometheus to Frankenstein to The Terminator, stories about visionaries creating new kinds of life don't usually end too well: poor Prometheus ended up chained to a rock, Victor Frankenstein ended up in self-imposed exile and Terminators ran about the place killing humans and making robots that looked like beautiful women for no good reason. The message is clear enough: just because you create something doesn't mean you can control it. Google and Apple know exactly how that feels. According to the Wall Street Journal, Google is increasingly concerned about Samsung. Apple, of course, has been concerned for a long time: it's spent most of the last few years chasing Samsung through the world's various courts. Apple's outsourcing and Google's Android made Samsung what it is today. We've been here before, most notably with IBM and Dell. IBM's own PC effectively handed personal computing to Microsoft, and Dell's outsourcing to Asus came back to bite it: as James Allworth writes on Asymco.com, when Dell outsourced almost everything to Asus it turned the small component supplier into a massive PC manufacturer - and that manufacturer then used everything it had learnt from Dell to become a fearsome competitor. If anything, Samsung's even more dangerous than an Asus: as the imminent launch of the Samsung Galaxy S4 demonstrates, Samsung can now generate almost Apple levels of excitement about incoming products. Other firms make iPhone-ish devices running Android, but Samsung excels at the whole package including marketing and making friends with the phone networks. That's why it has around 40 per cent of the global smartphone market. Samsung has gone from being an Android manufacturer to being the Android manufacturer. I don't think that was part of Google's plan. Samsung's become too powerful, and Google wants to hedge against that with its newly acquired Motorola subsidiary: while officially every Android partner is equal, it isn't hard to imagine Motorola getting preferential treatment to spite Samsung. The big question is whether it's already too late. Samsung already has its own OS, Tizen, and network operators like it a lot: unlike Android, it doesn't make them "a dumb pipe". 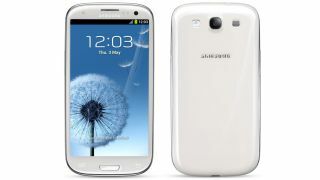 It might not be as good as Android yet, but then the first Samsung Galaxy, the i7500, wasn't as good as the iPhone. The second one was, the third one was better and the fourth one's due in a fortnight.